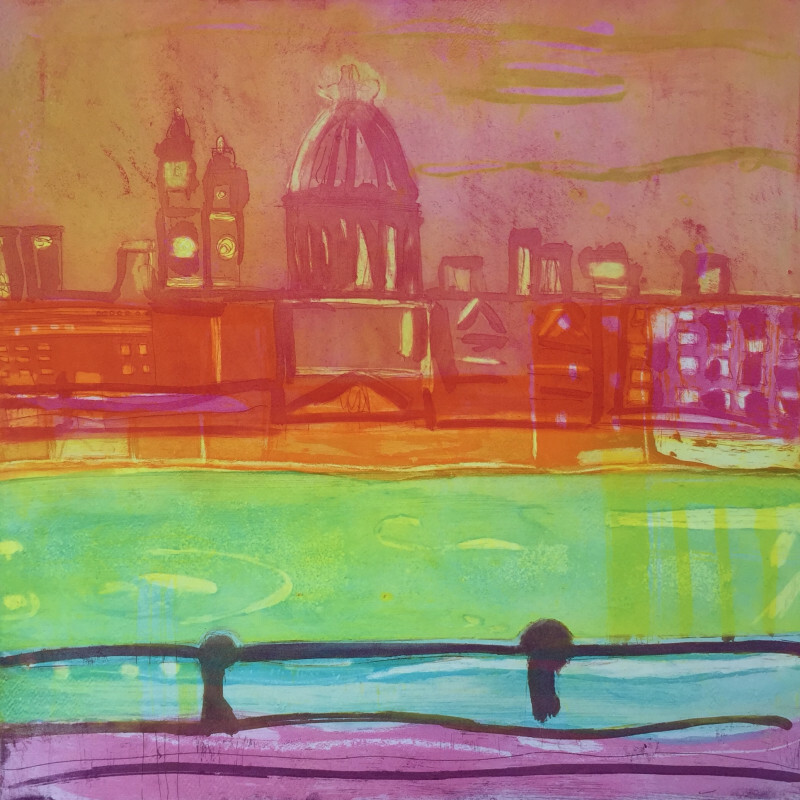 Louise specialises in prints and oil paintings depicting landscapes with a vibrant use of colour. Pools of colour overlay etched line, each one bleeding into its textural paper base. Her use of vivid hue converses elegantly with her printed line while achieving a delicate balance that enriches the enjoyment of both.